Hotel Mahima Palace displays fine appearance of style with finely decorated interiors and sleek furnishing at a pocket-friendly price. The hotel has a simple and modern look to it. The rooms are spacious, bright and well-designed with fine and modern pieces of furniture. 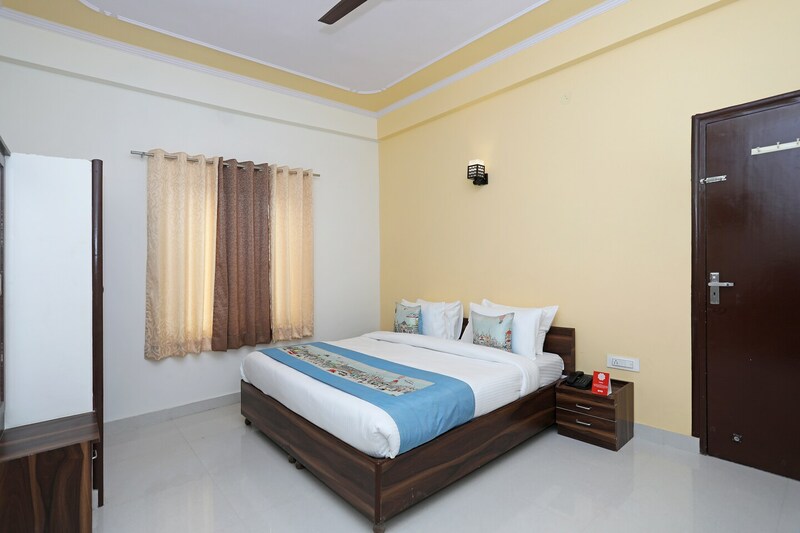 The guests can avail the facility of free Wi-Fi and stay connected with the internet. Other facilities include card payment option, CCTV cameras and power backup. With markets and restaurants nearby, it is a delight to stay in the bustling area of Jaipur. Peacock Garden, Chokhi Dhani Jaipur, and Jain Mandir are among the few tourist attractions in the place.